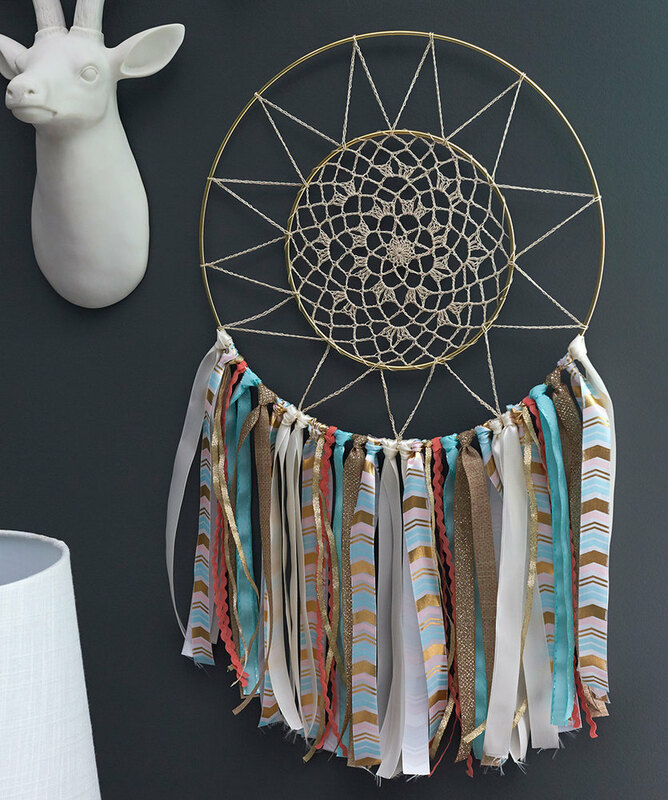 Legend goes that hanging a dreamcatcher in your bedroom allows you to have sweet and pleasant dreams and protects your loved ones who are away from you. 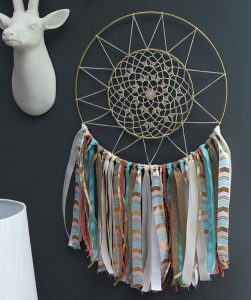 The mesh-like structure at the center plays a role in catching the dreams and the soft feathers hanging from its bottom allows the dreams to slide down to you. You can make them easily by going through the below tutorials. 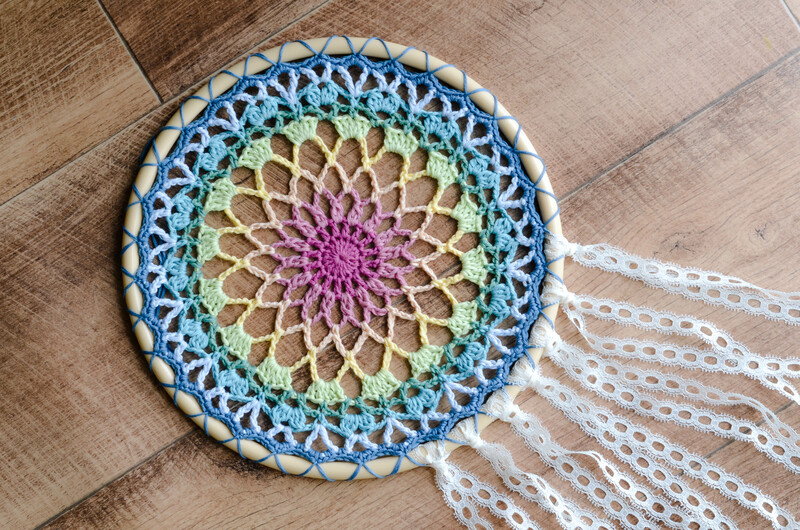 Most of them use pre-made doilies but if you want to crochet a doily, you are free to do so. 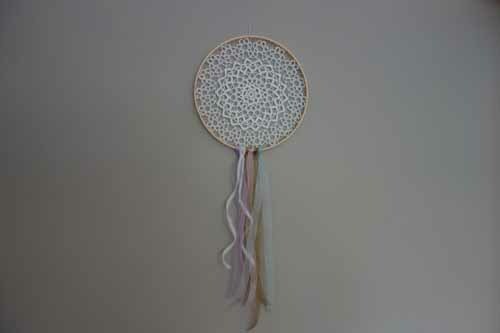 The supplies for this project include an embroidery hoop, doily, several lengths of ribbon and white embroidery floss. 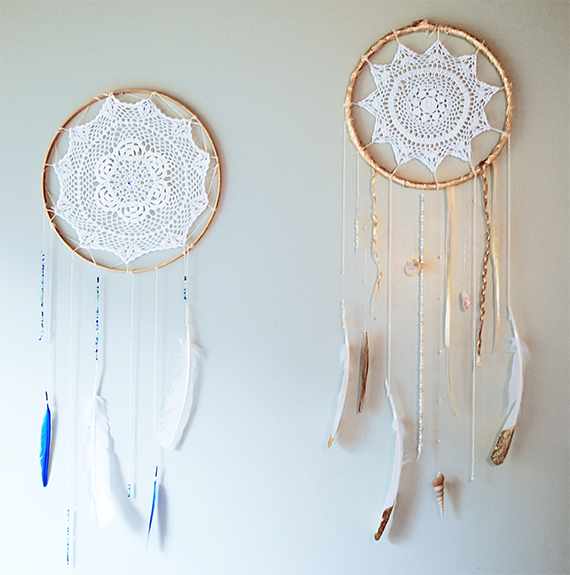 These dreamcatchers have a unique Boho look to them, thanks to the feathers used in the DIY. 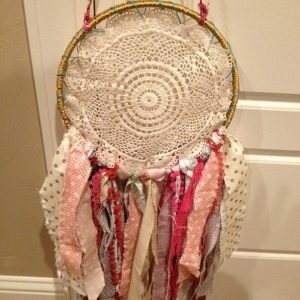 They can be decorated with ribbons, twine, sea shells, beads, chimes, crystals, etc. 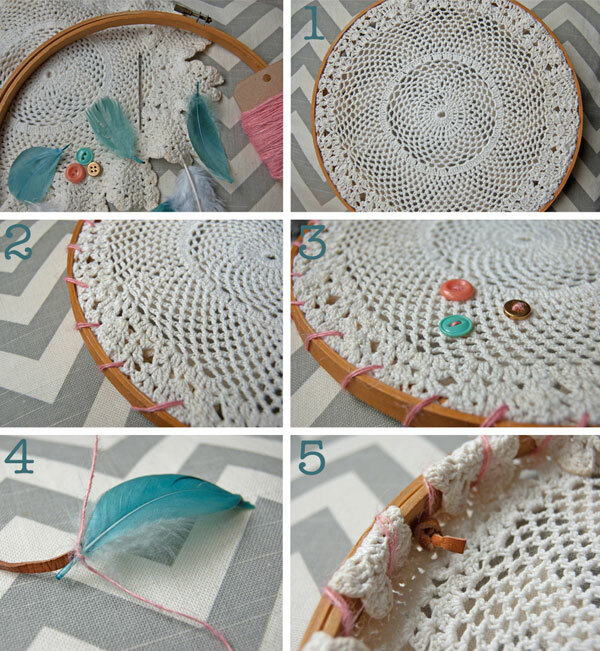 This project allows you to use up your scraps from earlier projects. 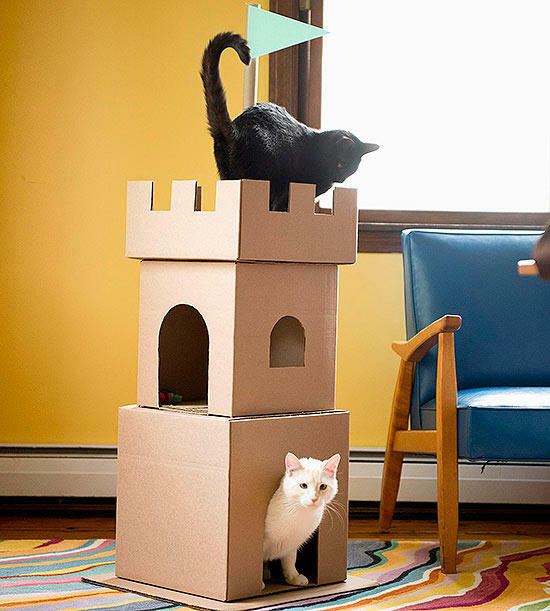 It is easy to make and doesn’t need a ton of supplies. This DIY starts with gluing a doily on top of an embroidery hoop. It should be taut. 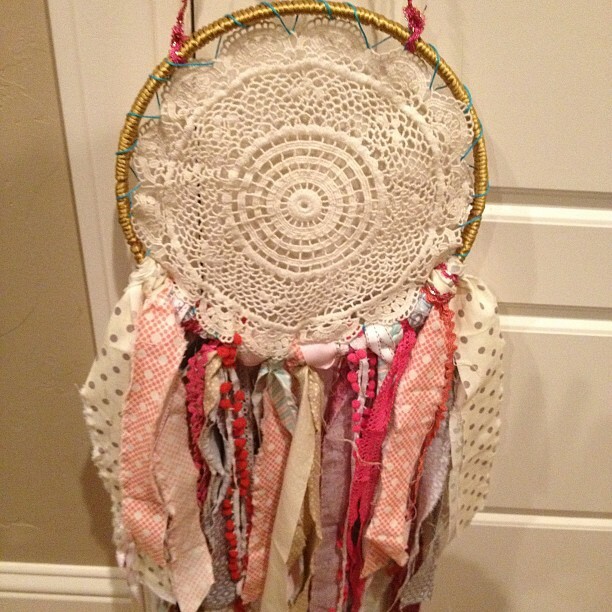 You can line the inner circumference of the hoop with pink ribbon if you wish. It beautifully hides the actual material used. This pattern needs intermediate levels of crocheting skills. It is because the center of this dreamcatcher flaunts a doily crochet pattern. It is decorated with ribbons at its base. 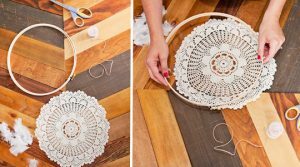 The above-linked article gives you a few ideas on doing different decorative objects with doilies. One of them is a tutorial on making a doily dreamcatcher. 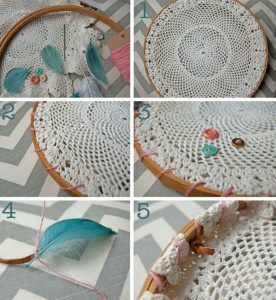 If your doily is a little bigger than the embroidery hoop, you can cut out the excesses from the borders. Ensure that you cut in a neat circle. The pretty lacy ones would make ideal gifts for your friends and family. It is like a wish of well-being that you present them. 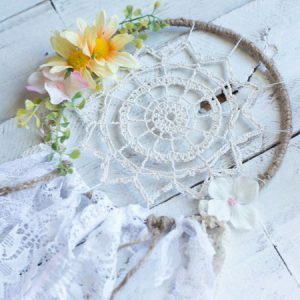 With your own doily dreamcatcher, you are free to decorate them with any accessory of your desire. 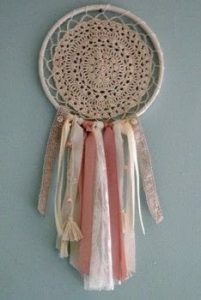 You can also make them with doilies of your choice. That couldn’t be done with the commercial ones.